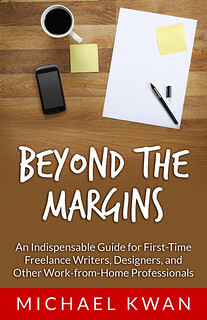 Part of the reason why someone would want to be a freelance writer in the first place is that he or she would then be able to enjoy more location freedom and time freedom than someone who held a more conventional office job. At the same time, this relative lack of structure just may be working to your detriment. Some people prefer spontaneity, but others prefer things to be a little more predictable and a little more organized. For this reason, it may be a good idea to consider developing a standard work schedule. This way, you know what time you should be starting, what time you’ll be working on certain projects, what time you’ll have lunch, and what time you can call it a day. But is this what you want to do? Goes Against the Freelance Lifestyle? This may be one reason why you may choose not to schedule your work days as a freelancer. The whole point is that you can have more flexibility, working at odd hours in the day and taking time off when most people cannot. It allows me to get out of the house every day, taking a break whenever I feel like I need one. However, a working schedule can still be of great value because you have the flexibility to change it when you need to make adjustments. Since you don’t have to wait for approval from a supervisor, manager, or some other superior, you can make changes as you see fit. In this way, a “schedule” isn’t necessarily the opposite of a freelance lifestyle. Realistically, the perception that most people have of the freedom enjoyed by freelancers isn’t exactly accurate. It’s a common misconception that freelancers can “work whenever they want.” I’ve mentioned this before, but it’s worth reiterating: Because we can work at any time in the day, we can oftentimes feel obligated to work at every hour of every day. That’s not healthy. By opting to have a more standardized work schedule, you know when your work day ends and when the rest of your life can begin. You can pack up shop at 5pm and not feel compelled to respond to customer emails or put in that “one last edit” after you’ve finished dinner. This helps to sustain our life-work balance and, more importantly, it could help to preserve what little sanity we have left. Having a distinctly separate area for work, like a spare bedroom as your home office, can aid greatly in this from a psychological perspective too. Ironically enough, restricting your work hours to a certain window might actually help with your productivity. If you know that you’ve only got another hour to get the job done, you may work harder to get that project done on time. If you don’t have a schedule, it’s much easier to procrastinate and leave it until “later,” whenever “later” may be. This doesn’t mean that you must have a nine-to-five schedule. If you’re not a morning person and want to wake up at noon, you can do that. Just make sure that you are still giving yourself adequate time to complete the work that needs to be completed. With your projects done, you can enjoy your leisure time more too. I’m not sure how much of a schedule I may impose on myself, but it is something worth considering. For all the other freelancers in the audience, what’s your take on this idea? Do you schedule your days? Why or why not? A lot of good points Michael. I believe the most important thing with a flexible work schedule is your own personality and willpower. If you have a tendency to procrastinate you will do it more without the benefit of a schedule. The lack of fixed deadline tends to be most peoples downfall. I think you’ve used that quote on me before. 🙂 Still a good one. With a flexible schedule that really hits the point of being able to actually control your schedule or just plain procrastinating. @Ray, your trig professor was right, it is best to get the work done as soon as possible, because the sooner you do it the more it frees up your schedule, if you wait too long you put yourself in a box. I am currently in college and have been experiencing that the hard way!